Gtmhub allows you to export the OKRs list (a.k.a. the OKRs grid) directly into an Excel file. Follow these simple steps to do this right. 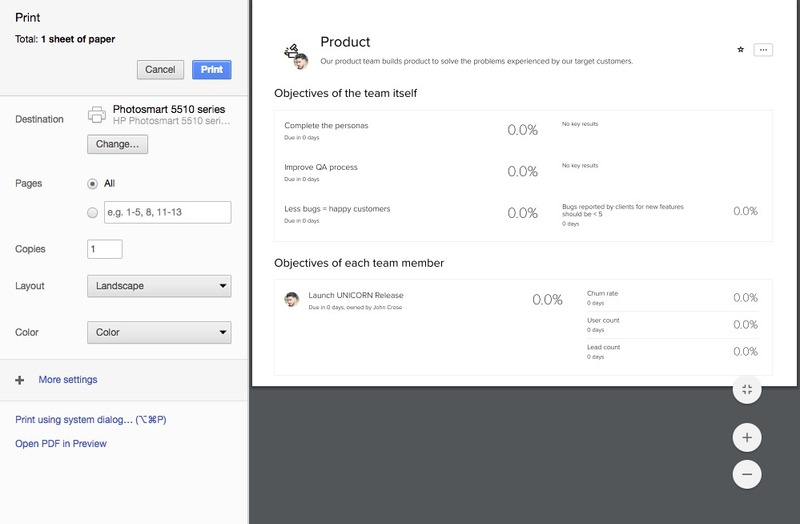 When in the Team Details view, you can hit "Ctrl+P" (command+P) to preview and print the print-ready page.